From the 1960’s through to the early ‘noughties’, the Isle of Wight was considered something of a production line for successful creatives. This was in part due to the prosperity of Level 42, The Bees, Jeremy Irons, Bear Grills, Anthony Minghella et al. Thereafter, the conveyor belt has been a little less prolific. 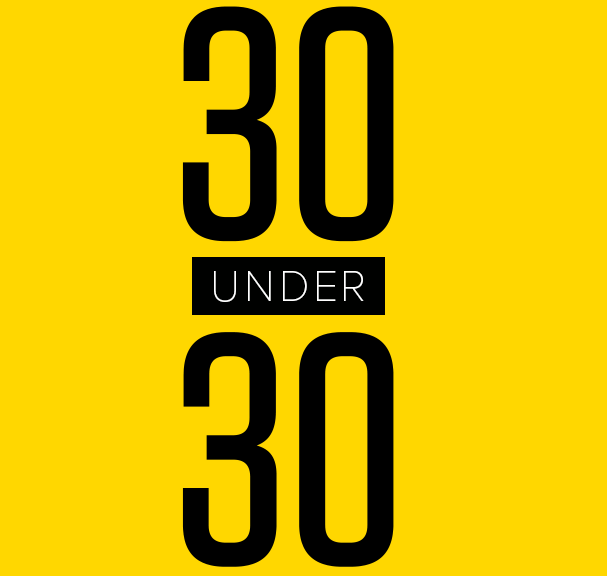 The sweaty scent of resurgence is now in the air though, making it the perfect time to present a list of 30 gifted creatives under the age of 30 that are worth keeping your eyes, ears and nostrils peeled for in late 2017 and beyond. Please share your thoughts in the comment section below the article. With breathy, Karen Carpenter-esque vocals, Hester Chambers has a simple, beautiful tone that is like marshmallow to the ears. Ostensibly a bag of nerves right up until the moment she utters her first note, thereafter she morphs into a hauntingly captivating melody maker. Has most recently found a niche in collaboration with Summer festival royalty, the Plastic Mermaids. The BaDow bass guitarist is the brains behind the catchy riffs that have seen the three-piece rock outfit scoop multiple accolades since the current lineup was established in 2013, including winning a place on the Bestival main stage by beating off fierce, more experienced competition at an event at Northwood House. As their status has grown, Sam’s own legacy has continued to flourish. Currently on a studio sabbatical to tour Europe, talk of a potential solo project has been rife around his native Cowes in his absence. Understated freelance graphic designer and illustrator who has romped onto the scene following a transition from retail worker to full-time artist. In the year since that plunge towards uncharted territory, she has produced stunning images for the likes of Nakamarra, Chelsea Theatre and Duveaux amongst others. 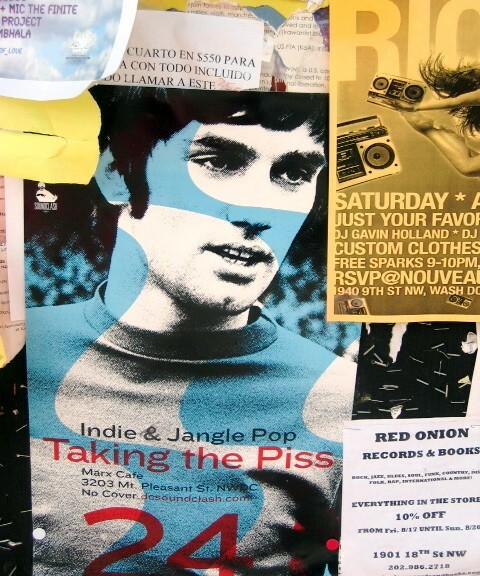 Chalkpit Records subsequently snapped her up as an in-house designer, with her images splashed all over their website. Destined for even bigger and better things as her confidence continues to grow. To pigeon hole Doris Doolally would be akin to clipping the wings of a unicorn. Her illustrations and creations have become a regular feature at BoomTown Fair since 2014. Seemingly on a solo mission to bring the Dodo bird back into public consciousness, her spoken word performances are one of many other strings to her overloaded bow. 26. Dylan Kulmayer – rapper/music producer/video editor. USA born, Isle of Wight raised Dylan Kulmayer released his debut rap EP, Retroverted Propulsion, via the platform of Soundcloud at the tender age of 18. Not content with that, the next phase of his development saw him produce his own beats and embellish his audio with punchy visuals, as rough edges continued to be levelled. Currently at University, Dylan can usually be found on a film set or in the recording studio. The hugely aspirational 21 year-old workaholic has lofty sights set, with a much anticipated follow-up album in the works. Having studied for a career in production at Cheltenham University, Laura’s story is one of perseverance overcoming adversity, with a heavily populated and diluted marketplace resulting in ‘paying her dues’ as a runner. Eventually she found her stride, selected to work on several reality TV series, most notably Big Brother, as well as a slew of other production pilots. Ms Watt returned to the Isle as part of the Red Bull TV team that made a short documentary based around the 2016 Bestival. South Coast Jack Johnson soundalike in flip-flops with a shock of red, ringed hair. Greg Barnes is at the forefront of the Ventnor music community, with his monthly events offering a platform for up and coming performers to hone their craft. With an uninhibited soulfulness beyond his years, most recent release Early Summer provided further evidence of a young musician with an ever expanding box of tools. 23. Buddy Carson – Spoken Word Artist/Musician. Buddy Carson has been a trailblazer for the modern interpretation of spoken word on the Isle of Wight, a genre which has since spawned numerous local acts inspired by his emotionally charged delivery. Now based in Bristol, a productive partnership with Emmy J Mac (of ‘The Voice’ fame) saw the duo become a fixture at events all over the UK, with the pair later focusing predominantly on mentoring youngsters keen to work in one of the creative industries. Liam Burke is a product of the Isle of Wight music college, Platform One, who has found himself touted for breakout stardom since he covered Stevie Wonders’ Fingertips aged just 14 at a Christmas show in New Orleans. He specialises not in a specific genre, preferring instead to mesh dozens of them together to create something entirely original – often with instruments as far-fetched as rusty salad spoons, zeusaphones and stolen road signs. Born in the Bahamas to French and English parents, Ivana somehow navigated a path to the Isle of Wight, before hitch-hiking across the globe by boat in order to escape again. She didn’t stay away for long thankfully, and upon her return quickly became notorious for her amusing, offbeat poems and quirky ukulele ditties, including an album of animal related tracks that she occasionally dusts off at PETA meetings. 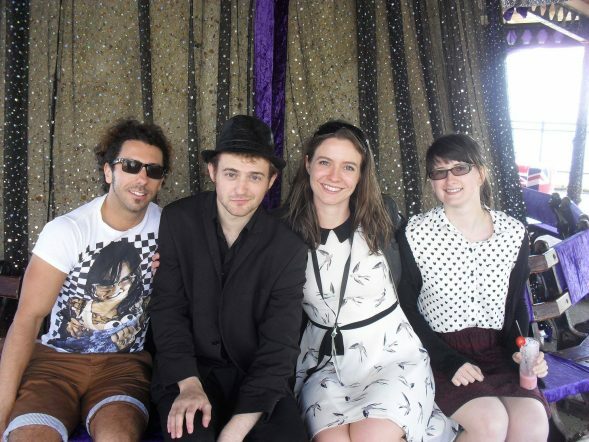 Lewis Shepperd is a musician from the isle of wight with a degree in commercial music. He has performed at various festivals and venues such as the Isle Of Wight Festival, Bestival, Camp Bestival and the NEC Arena in Birmingham. He has been compared to Prince, not only for his lavish leopard skin robes and insistence on yellow M&M’s in his dressing room, but also a deeply intoxicating voice and elaborate range of self-penned tracks. His debut single ‘Me’ has to date received 16,519 views on YouTube… 16,520 now that I’ve watched it. Despite this success he remains the same humble person that he was during his first job as a moonshiner in 2013. Tina Edwards fell into TV Presenting almost by accident. She had gone to London for a separate audition, when she was spotted and placed on a presenting course due to the huge potential those television executives present had seen in her. Starting out with street interviews (some of those interviewed more articulate than others), she was able to hone her craft and become a producer for Balcony TV in London. Wouldn’t look out of place as the host of Channel Four’s Streetmate. Isabelle L’Amour, known to at least half a dozen people as the ‘South Coast Sweetheart’, is a UK based and award-winning international Burlesque & Cabaret performer, teacher and model. Creator of The Blue Moon Revue, her show has had sell-out residency across the UK and hosted some of the biggest names in Burlesque, with Kitten de Ville, Natsumi Scarlett & Domino Barbeau all gracing her stage at various times. Sarah’s classic, old Hollywood beauty and style really shows through on her various social media platforms. She films everything from hauls to ‘look books’ for her viewers to enjoy. With the Summer release of new single ‘My Little Island‘ proving her most well received to date, Jazzy Heath shows no signs of reducing the relentless pace that has raised her profile as a musician around the UK. Also a talented beat maker, she has yet to decide which path to focus on post-studies. Kestrel ‘Kes’ Eatwell is one of the most capricious artists to emerge from Isle of Wight music circles in recent years. He turned down a set at Bestival in 2016 after winning a local spoken word competition, an incredibly bold act that paved the way for him to head to London in search of greater glory. A proficient freestyler, Kes has wit and vocal dexterity in equal measure to ensure that it’s surely only a matter of time before he’s forged a successful career within the orbit of hip-hop. Charlotte (far right) during her Yoppul days. Charlotte Tobitt is something of a triple-threat creative force, graduating from Kingston University (In London, not Jamaica) with First Class Honours in journalism, having already secured a music qualification from the University of York, as well as becoming one of the UK’s premier cat whisperers in 2015. Working her way up the ranks of the Surrey Advertiser via the Isle of Wight County Press’s youth offshoot, Yoppul, Charlotte secured the MA journalist of the year gong at Kingston in late 2014. 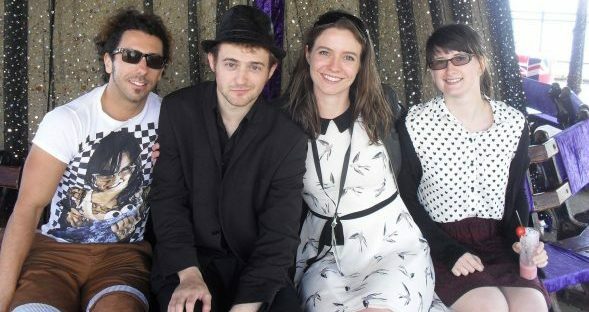 The brains behind the Ventnor Fringe Festival, Jack has been a regular champion for the Isle of Wight arts, hosting and funding an abundance of productions from his HQ at Ventnor Exchange. The festival itself has evolved from humble beginnings in 2010 to a week long explosion of luminosity, sound and general quirkiness that envelops the entirety of the seaside town, temporarily transforming it into a postcard of the French Riviera. Olly Fry is ostensibly a man who never sleeps – not far beyond his juvenescence, he has written, directed and starred in more than 40 plays already, and could conceivably follow in the thespian footsteps of fellow Isle of Wighter, Jeremy Irons. His critically acclaimed one man show, I Hooky, an undercard highlight of the 2017 Isle of Wight Festival, served as a brutally candid, anarchic glimpse into the past tribulations of an actor sufficiently bold to blend bleak with blissful. Raised on the Isle of Wight under the guidance of a high profile musician father, Charlie Jones was classically trained but discovered a love of electo whilst studying law in France. 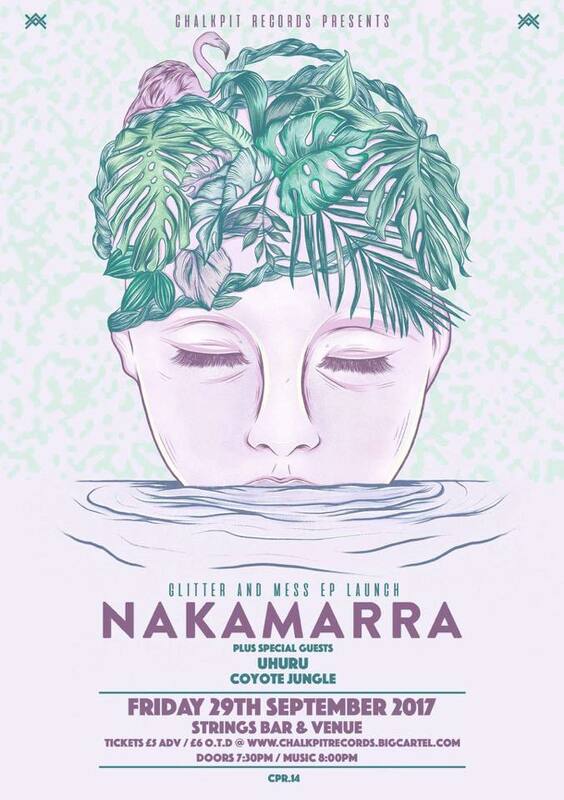 Part of indie-electo quintet, Nakamarra, (a band named after this song by Hiatus Kaiyote) she’s blessed with a full vocal range, and her performances are theatrically expressive. 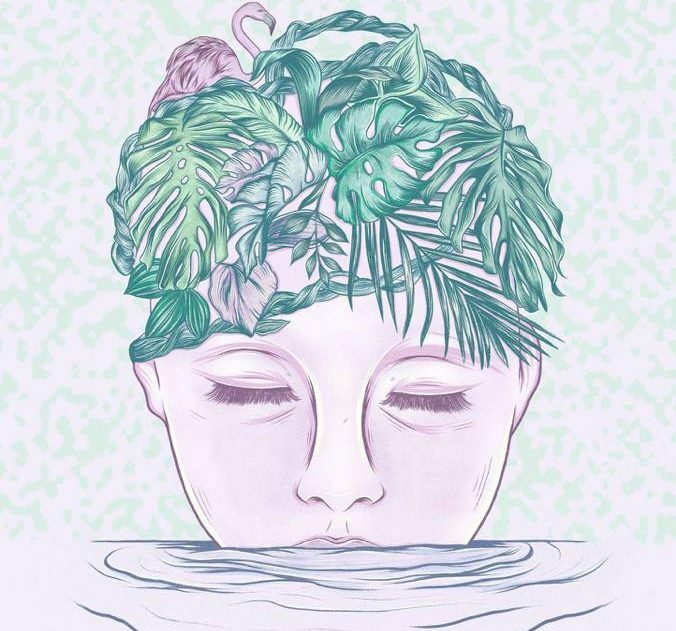 Temptress, the band’s latest single, is an ode to innocence and expectation. Eccentric, wackily maned bassist who is the heartbeat of math-pop starlets Signals. Alex expertly tip-toes along the line between hipster and flower child, without ever coming across as contrived or overly rehearsed. To fixate on this personality and musk would be to underestimate the prowess of his playing, which has seen him compared to legendary funkster Bootsy Collins. An engaging and charming personality who has performed his shows all across the UK, receiving a nomination for a Filmflare Award for his hugely popular Stammermouth show. This spirited one man presentation focuses on the difficulty of suffering with a stammer by utilising a brew of dark humour, hopelessness and a concise storyline arch – all exquisitely showcased without ever threatening to cross into melancholy. Annabelle Spencer is 17 years old; she plays 7 instruments, writes her own music, teaches and has a voice that sends chills down the stiffest spine… I’m not jealous, I’m honestly not – those are tears of joy. In addition to a range of her own material (including recent release Feather on the Tide), she covers all genres from bubble gum pop to rock depending on the mood, all of this whilst still studying at Platform One and maintaining follicles that would make Macy Gray envious. The artist formerly known as Babooshka Baba Yaga has come a long way since her initial live piano recitals which began to spread her name along the south coast, thereafter finding her calling as an operatic solo artist and integral member of the Plastic Mermaids. It is with the latter that she broached the local mainstream, with their rousing Magnum Opus, Beyond the Cosmos After Death, a track which provides an ideal vehicle for Rhain’s extensive vocal dexterity. Sepia, or Theo Bennett to those who know him best, carved his reputation as a blockbusting DJ in Brighton, Bristol and… Brading (as well as other places not starting with ‘br’) and has enjoyed extensive airplay on Radio One. Sharing a stage with names as high in profile as James Blake and Joy Orbison, Sepia’s output generally has an uncomplicated veneer, with smooth transitions accompanying beats full of vitality. With the afore mentioned Red Bull TV Bestival documentary (see no.25: Laura Watt) issuing a sub-section dedicated to her, Lauran Hibberd’s momentum threatens to elevate her to juggernaut status among fellow poppy-folk music makers. After recently supporting Clean Cut Kid, and fresh from the Bestival main stage Lauran’s ever-growing Industrial Folk sound hints at a grander live vision, captured eloquently in her recordings to date. An award winning vocalist from Wroxall, Louis has carved out a niche for himself within the Brighton jazz scene with his often witty and elegantly wrought tunes infused by a piquant flavour of soul. 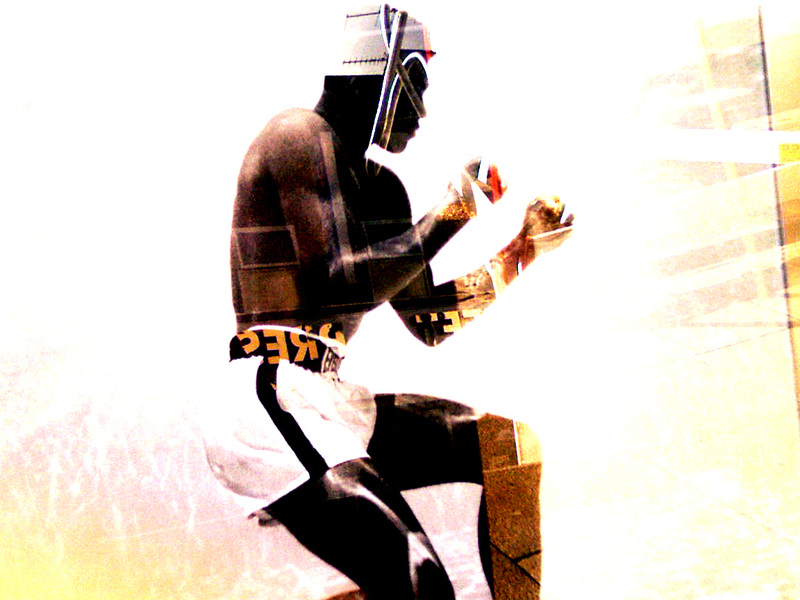 Though steering clear of vocal gymnastics, Louis’s ample range is light in tone, conversational in its approach and, with an effortlessly dulcet lilt, stands out from the crowd enough to earn its place among premier contemporary jazz singers, aptly demonstrated by his reaching the summit of the Balcony TV Worldwide charts in 2014. A non-conforming human glitter ball who can’t be pigeon-holed by genre, Dayita materialised on festival stages around the Isle of Wight in the summer of 2017, providing a vivid audio/visual experience that invigorated a principally pop-rock landscape. Her recent single release, Six Seconds, was an explosion of silver glitter, seductive articulation and Pinnochio-falling-down-the-stairs backing beats apt both for nighttime club use and daytime radio play. Wonderfully kooky. A master of the viral video, Adam Pacciti first surfaced on a national stage when releasing his Girl of My Dreams video, where he claimed to have been rescued from the zombie apocalypse by a dazzling dame paddling around his pineal, subsequently scrawling a (deliberately indistinguishable) sketch of her and urging viewers to assist in the search. 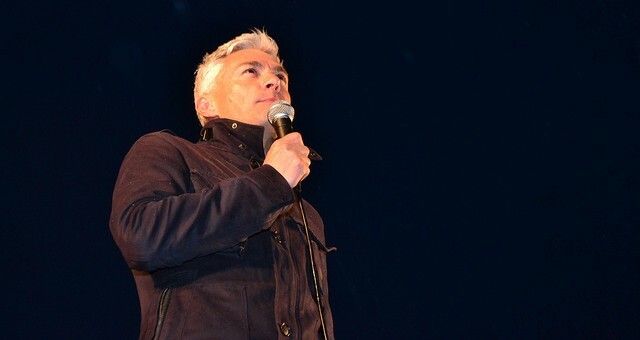 The publicity of more than half a million views across social media saw Adam featured on a glut of national television programmes, notably ITV News and GMTV. A second viral endeavour, via a billboard in London pleading for a job, aligned with his increasing clout as a presenter of Whatculture, blazed the spotlight more brightly upon him, before his recent departure from the group led to speculation that he’s set to open his own wrestling company. Watch this space. A product of Ryde School’s music choir during her childhood, Sarah Close began posting covers of songs onto YouTube in the late noughties, aged just 14. Four years later she relocated to London to attend The Institute of Contemporary Music Performance, where she studied music and songwriting. Sarah released her debut single ‘Call Me Out’ in March of this year, which charted at number one on the UK Official Physical Singles Chart, the first Isle of Wight solo artist to achieve the feat. Releasing follow-up, Only You last month, her YouTube channel is swiftly hurtling towards a whopping 800,000 subscribers. Think we missed anyone out of the list? Leave a message in the comment section below and please throw Kureen a like on Facebook! Ken Irons returns with an article that takes a glimpse at a host of high-profile athletes who struggled to combine their relationship with religion with a career in sport. 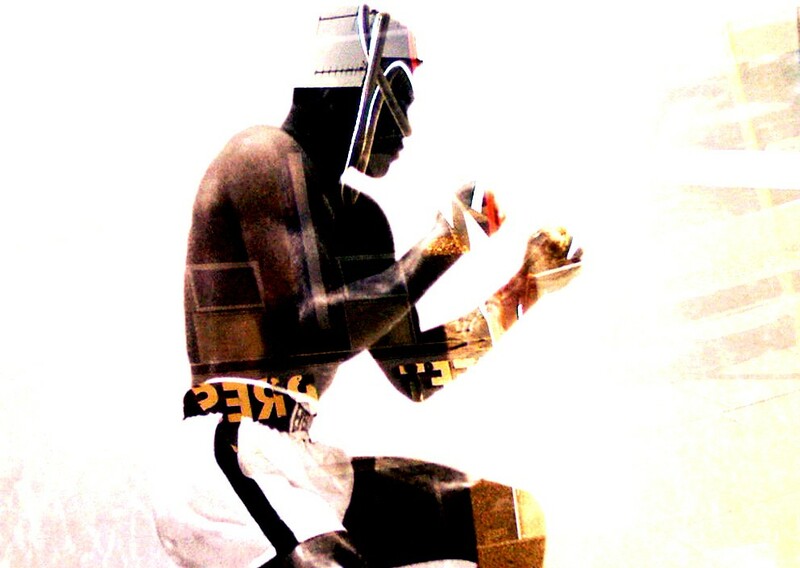 Perhaps the most famous example of a sports star being governed by his religious beliefs is that of Muhammad Ali, although these beliefs were unquestionably more racial than religious – the organisation he belonged to being the Black Muslims. 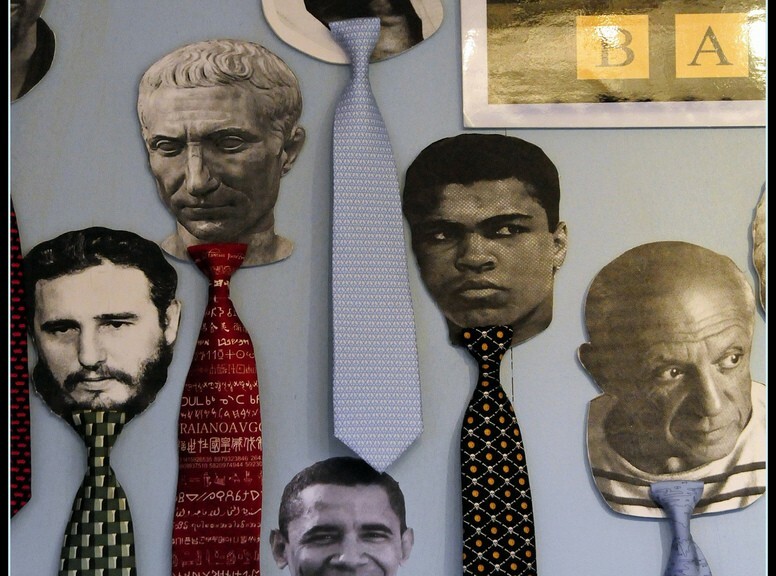 Although Ali’s hagiographers liked to depict him as a man of near saintly proportions, his treatment of his fellow man often belied this theory. For example, his close friendship with the infamous Malcolm X was responsible for Ali joining the Muslims, but when Malcolm X fell out of favour and was later assassinated by the Muslims, Ali entirely washed his hands of him and could not find a word to say in his favour. Similarly, the notion that Ali had rejected conscription on moral grounds because he did not wish to kill Vietnamese people was a travesty. He was ordered by the Muslims, of whom he was understandably frightened, to take this action. It must also be said that enlisting held no personal appeal for him, as he had heard that the chance of him being attacked by white racist factions within the U.S. forces was considerable. Ali’s later treatment of Joe Frazier, whom he gratuitously called an ‘Uncle Tom’ (causing Joe’s son, Marvis, to be ostracised at school) could, again, not be claimed to be the action of a particularly religious man. Frazier, a man from a deprived background, never forgave the comparatively middle class Ali for this insult. 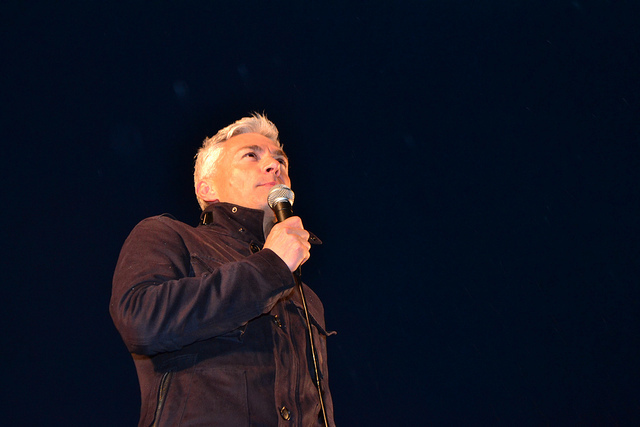 Another gifted athlete, Jonathan Edwards, a man who still holds the world triple jump record he set more than 19 years ago, was a highly committed Christian who, at one stage in his career, steadfastly refused to compete on a Sunday. He did subsequently relinquish this discipline and won the triple jump World Title in 1995 with two efforts that extended his own world record beyond the 18 metre barrier. A silver medal followed at the following year’s Olympics. 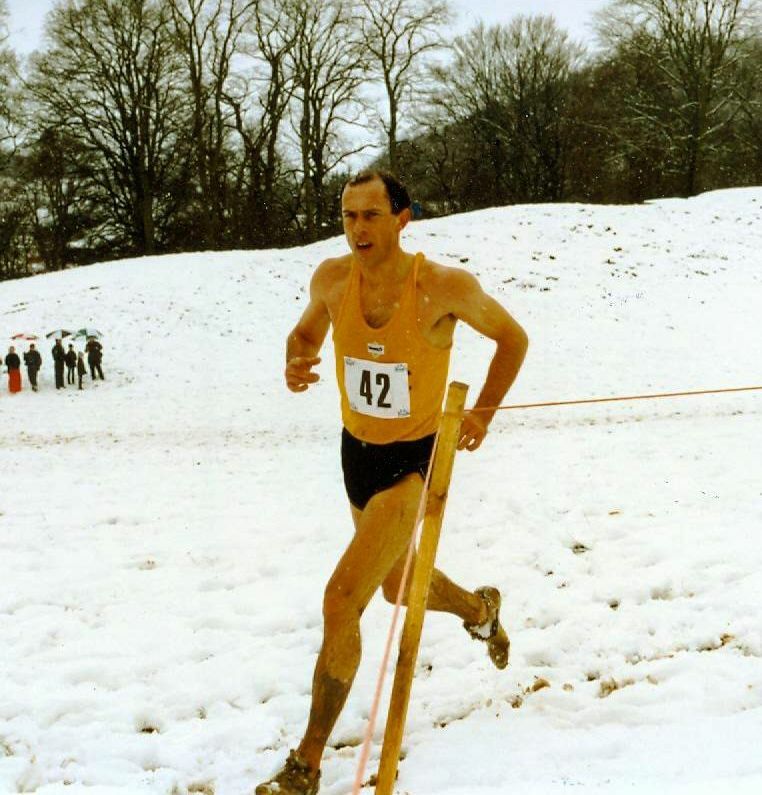 He then won gold at the 2000 Olympics shortly after which he was awarded the CBE. Further titles were captured at the 2001 world championships and the 2002 commonwealth games prior to his retirement in 2003. In March this year Jonathan made a surprise statement revealing that he no longer believes in God. Giving up presenting Songs of Praise, he stated that he felt more settled and happier in himself since coming to terms with his feelings. Edwards, 47, now works as a BBC sports presenter and lives in Newcastle with his wife and two sons. Ex-Argentina goalkeeper, Carlos Roa, who helped knock England out of the 1998 world cup on penalties, was a member of the 7th Day Adventist Church. He took a year out of football to study religion in Santa Fe, New Mexico, in 1999, before returning to action in Spain. He fell back on his religion to strengthen him when testicular cancer struck him some years later. The Rev David Shepherd skippered and opened the batting for both Sussex and England in the 1950’s and is the only ordained Minister to play Test cricket. Refusing to play against South Africa in their 1960 tour, he was strongly anti-apartheid. He retired from cricket in 1963, was made Bishop of Woolwich in 1969 and Bishop of Liverpool in 1975. I have always had a love of the written word and have frequently, over the years, exasperated editors, publishers et al with my copious submissions of work. My highly advanced years I find a plus, as it means not having to research so much - I can remember it if it's in the last century or so! All this week Kureen will be counting down the 50 greatest British sports stars of all-time. There are some notable absentees from the list who just missed the cut. The likes of World Cup winning goalkeeper Gordon Banks, Ashes hero Andrew Flintoff, sailing superstar Ellen MacArthur, and former French Open tennis champion Sue Barker among them. The top 50 is based upon the quality of the performer, not their star status. Hence the lack of a David Beckham or perennial underdogs Tim Henman, Frank Bruno and Sir Henry Cooper, who when push comes to shove were very good, but not great. Sally Gunnell remains the only woman to have won the European, World, Commonwealth and Olympic 400 metre hurdles titles. She is additionally the only British woman to have won those four titles in any individual event. Her gold run in the major championships began in 1992 when she took the Olympic title in Barcelona, followed by a world record obliterating run at the World Championships the following year. Rated by many as the greatest ever all-round footballer to come from the British isles, Charles became a Leeds United icon in the 1950’s, before departing Elland Road to join Juventus in 1957 for a British record transfer fee of £65,000. The Welshman flourished in Turin, leading the Serie A scoring charts with 28 goals in his inaugural season, as his new side won the league title. He placed third in the Ballon d’Or (Golden Ball) in 1959, and was voted Juve’s best ever foreign player during the club’s centenary celebrations in 1997, having netted 108 times in just 155 league matches, despite playing a third of those as a defender. 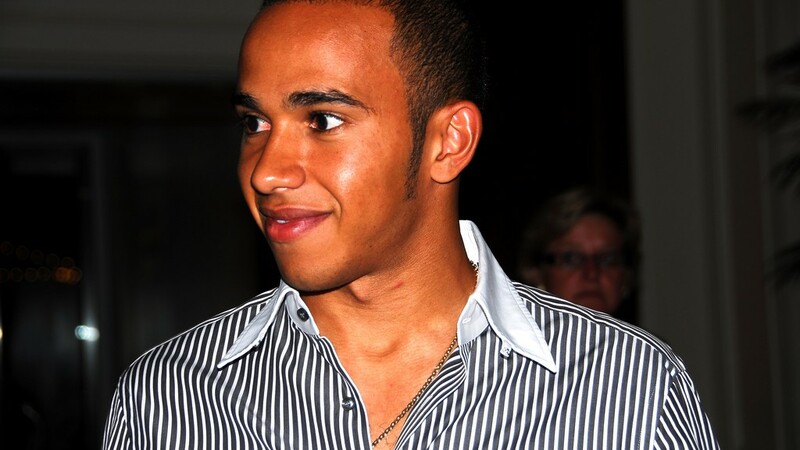 Few British sporting icons have polarised opinion like two-time Formula One world champion Lewis Hamilton; be it his on-off relationship with Pussycat Doll Nicole Scherzinger, a snarky arrogance or a perceived lack of patriotism, Hamilton is not held in the esteem usually associated with elite drivers from these shores. After a staggering rise through karting, Formula Renault, Formula Three and GP2, Hamilton was snapped up by McLaren to partner double World Champion Fernando Alonso. The two couldn’t stand each other, but it was the Brit who outlasted his erstwhile colleague, collecting the world title in 2008, before a move to Mercedes brought another six years later. 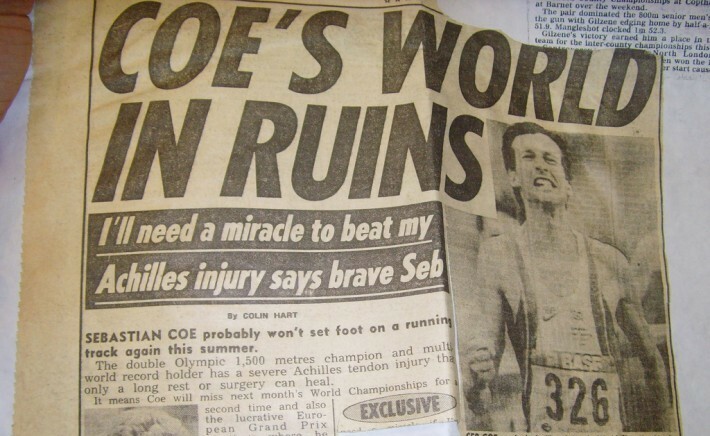 Building his reputation as an athlete who could achieve remarkable times in disparate distances during the 1970’s, it was during the 1980 Moscow Olympics that Ovett’s rivalry with fellow Brit Sebastian Coe reached its peak. 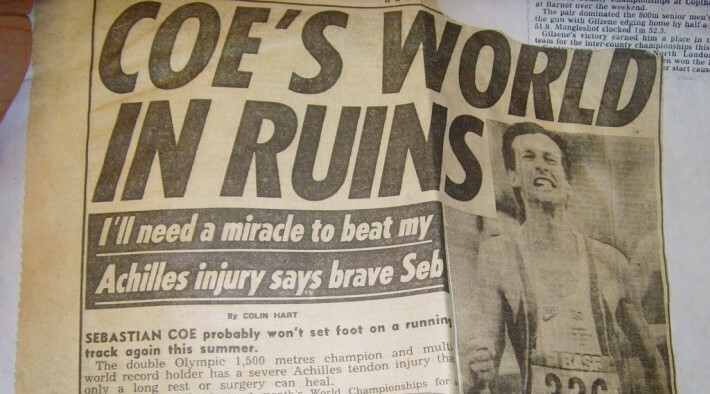 Both men contested the 800m and 1500m distances, with Ovett surprising 800m favourite Coe by taking the title, and then experiencing a reversal of roles, with his three-year unbeaten streak over 1500m ending – Ovett settling for bronze as Coe kicked late to triumph. The current women’s marathon world record holder would sit(or squat) far higher in the list if it wasn’t for her penchant to freeze on the biggest stage. An incredible, dedicated long distance runner, Radcliffe has won enough gold to make even King Midas envious. Five Olympic finals failed to yield a medal, happily she fared better in the World Championships; securing marathon victory in 2005, and 10,000m silver in 1999. 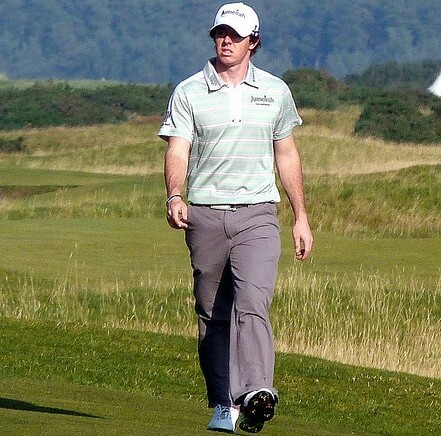 The Northern Irish golfer appears to have the world at his feet at just 26 years of age. Indeed, in five years time he will probably make the top 10 of this list, such is the upside of a player who has been swinging a club since the age of three. 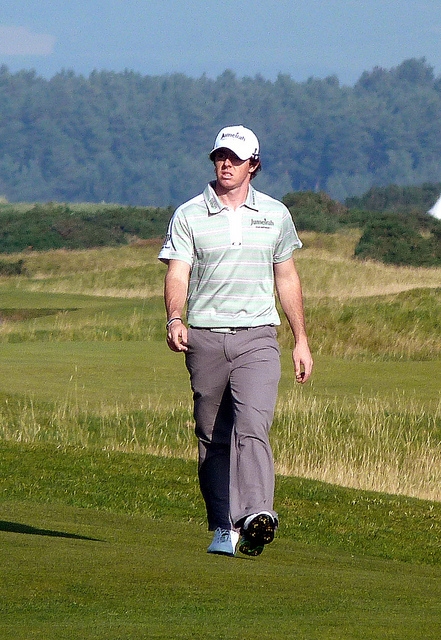 With four majors already in the bag, and inevitable comparisons to a young, pre-scandal Tiger Woods, golf’s current world number one won both the PGA and Open Championships in 2014, and has already snaffled three titles on the tour this year. There’s no ceiling to his potential, as long as he doesn’t become distracted by extra curricular enterprises. England’s current women’s cricket captain is one of the greatest players the sport has ever seen. The only woman to score more than 2000 runs in T20 matches, Edwards made her international bow at just 16 years of age, remaining at the top of her craft for the next two decades. In 2014 she was part of the group of England players to be awarded central contracts by the ECB, another major milestone for the women’s game. Mansell often cut a grey, monotone mannequin among the glitz and glamour of motor racing, but it was from inside the cockpit that he came to life. Having seen world titles snatched away on the final day of more than one season, 1992 finally brought the moustachioed Brummie the F1 championship he craved, with a little help from the unparalleled early 90’s Williams team. Within six months he’d become the first man to simultaneously hold that title and the CART Indy world series when he triumphed in his début season in America. 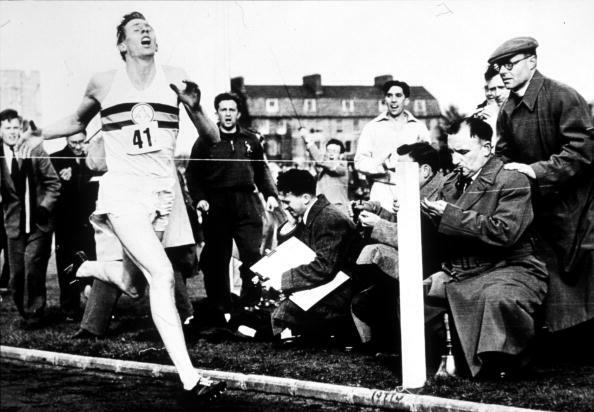 With the 1952 Helsinki Olympics failing to provide the tonic of a 1500m medal that Bannister had long expected, the athlete became obsessed with another goal; becoming the first person to break the 4 minute mile. The feat was achieved in Oxford in 1954, with the stadium announcer drowned out by a fanatical support in the stands after uttering the number three (the final time was actually 3 minutes, 59.4 seconds.) 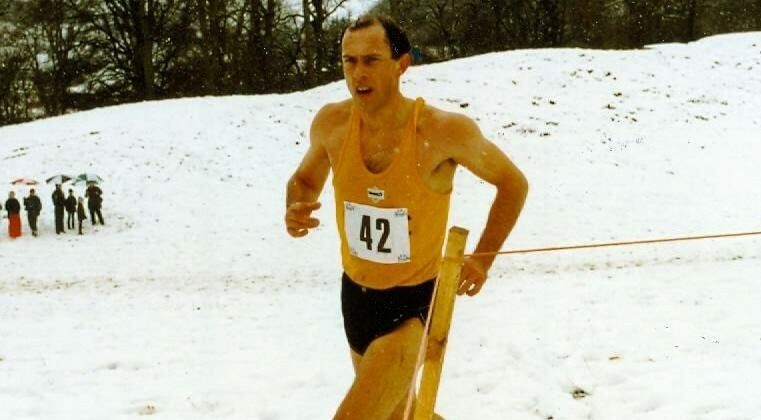 Bannister managed this with only sporadic training while he studied to become a junior doctor. Henry Wilfred “Bunny” Austin played during an era of high quality tennis players, thus missing out on Grand Slam glory despite reaching five major finals in all, . He and Fred Perry ensured that Britain had a tight grip on the Davis Cup from 1933-36, with the tandem beating all-comers for four years before both wound down their careers. Austin is widely considered the greatest male player not to win a Grand Slam. Bunny Austin only at number 41??? Come back tomorrow to find out who kept the legend of SW19 out of the top 40, as we focus on positions 40th down to 31st.